Giving your Shingle Springs home a new look doesn’t have to involve a complete remodeling. Freshening up the exterior can be as simple as painting your front door. Whether you’re repainting it in the same color or choosing a whole new tone, a fresh coat of paint can work wonders for your home’s curb appeal. A Touch of Contrast—Painting your front door in a vivid shade gives the exterior of your home some contrast. This makes your door “pop,” especially if the rest of your exterior is done in neutral shades. A More Inviting Look—A warm or bright tone makes it appear more inviting. If you enjoy having company over (or would like to give the impression that you do! ), this is a simple way to make guests feel welcome. Added Curb Appeal—This might not seem like a big deal if you’re not planning on selling your home just yet, but it will make a world of difference if you do put it on the market. Curb appeal is what attracts potential home buyers and makes them schedule an appointment to see your home. A front door that’s been recently painted helps make a good first impression on buyers. Turquoise—A turquoise front door adds some whimsical charm to your home’s exterior. Turquoise pairs well with white and light neutral colors, as well as darker shades of brown. Yellow—A sunny shade of yellow gives your home a warm, cheerful appearance. Yellow usually works well with gray tones. Red—A bright red door adds visual appeal to your home’s exterior. Bold reds pair well with several colors, including white, gray, beige and blue. Remember: the front door is an under-evaluated place for homeowners to display their personal styles. Take time to play around with options, bring color samples home, and enjoy your home’s face-lift! 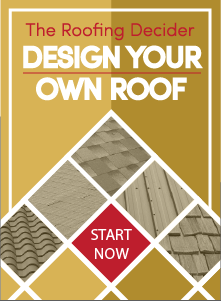 At Straight Line Roofing we offer home improvement options to update your home’s appearance. Our home improvement experts will work with you on materials, colors, and installment options for your home. Contact Straight Line Roofing today to talk to one of our experts about your home improvement options in Shingle Springs.